For more information on new, ongoing, and completed R&D projects for the onion industry, visit the onion Hortlink page. Onions rust was identified by Plant Health Australia as the main biosecurity risk to the A$180 million onion industry. Epidemics of this disease in Europe and the US have caused severe losses to Allium species, including onion. This project aims to determine which rusts infect the onion family in Australia and overseas, and to develop reliable diagnostic markers that can be used to identify them. 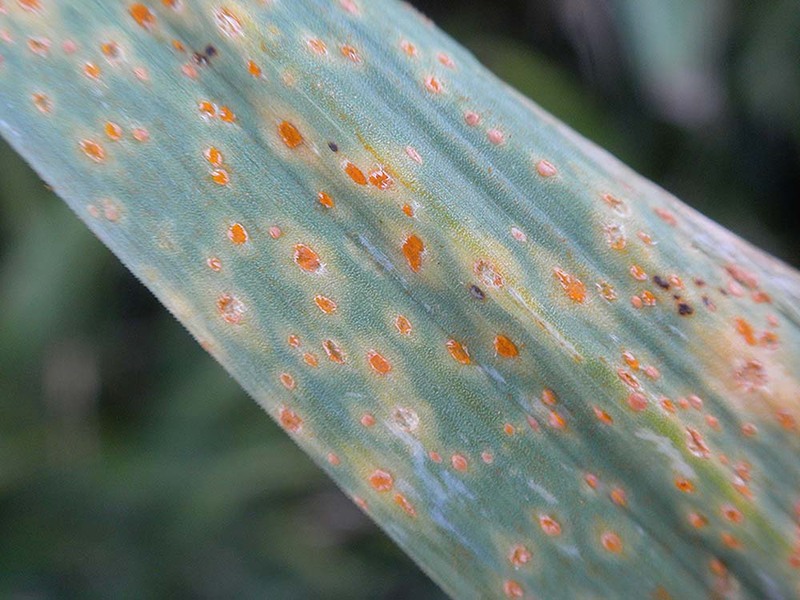 At the time of last reporting, a DNA variation in the fungi’s sodium/calcium exchanger protein (Ca2) has been identified as suitable for discriminating between the exotic European onion rust lineage, the naturalised South Australian/Tasmanian lineage, and the Puccinia mixta + ambigua lineages. This had led to the development, trial and optimisation of new polymerase chain reaction (PCR) primer sets able to reliably identify the lineages in the lab. The project’s findings are set to be incorporated into a diagnostic manual, which will be submitted to the Subcommittee on Plant Health Diagnostic Standards.